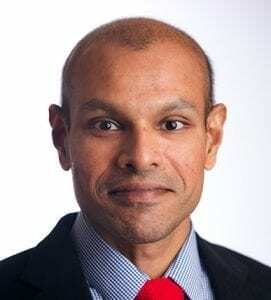 Satesh Bidaisee is a Professor of Public Health and Preventive Medicine and Assistant Dean for Graduate Studies at St. George’s University. He has previously held positions at the University of Trinidad and Tobago and the Ministry of Health in Trinidad and Tobago. Prof. Bidaisee is a graduate of the University of the West Indies, Faculty of Medical Sciences, St. Augustine, Trinidad, St. George’s University, School of Medicine, School of Graduate Studies and the University of Sheffield, United Kingdom. As a research investigator, Prof. Bidaisee supports community based participatory research and service activities along his interests which include Emerging Infectious Diseases, Zoonoses, Food Safety and Food Security and the pursuit of the One Health One Medicine concept. Prof. Bidaisee’s research projects include Human Behavior, Climate Change and Viral Infections, Zoonoses and One Health and Vector Borne Disease outbreak investigation. Prof. Bidaisee is board certified by the United States National Board of Public Health Examiners, and holds Fellowships to the Royal Society of Public Health (FRSPH), Royal Society of Tropical Medicine and Hygiene (FRSTMH), International Society on Infectious Diseases and the Society of Biology. Bidaisee S., 2010. Zoonoses: Knowledge and Perceptions. Lambert Academic Publishing. ISBN: 978-3-8383-7727-7. © 2010. Armstrong E, Smith P.G., Bidaisee S.,2017. Leptospirosis: an Overview of Canine Leptospirosis in Grenada and Its Impact on Public Health. Arch Vet Sci Technol 2017: VST-119. Cooper S, Bidaisee S., 2017. Evaluation of Risks and Factors linked to Precocious Puberty. J Translational Diagn Technol. 2(1), 27-29. Forde MS, Martin F, Mitchell G, Bidaisee S., 2017. Public health response and lessons learned from the 2014 chikungunya epidemic in Grenada. Rev Panam Salud Publica. 2017;41:e57. Macpherson, C., Noël, T., Fields, P. J., Jungkind, D., Yearwood, K, Simmons, M., Widjaja, S., Mitchell, G., Noël, D., Bidaisee S., Myers, T. E., LaBeaud, A. D. (2016), Clinical and Serological Insights from the Asian Lineage Chikungunya Outbreak in Grenada, 2014: An Observational Study. Am J Trop Med Hyg pii: 16-0122; Published online August 15, 2016. Bidaisee S., Jacobs G., 2016. Females Education and Career Choice of Veterinary Medicine: Emergence of Life Stages Theory. J Translational Diagn Technol. 1(2), 11-20. Bidaisee S, Dookeeram D, 2016. Measuring the Intensity of Different Exercise Routines in Grenada’s Sports for Health Program. Journal of Translational Space dentistry, Medicine and Exploration (JBR-TSME). Bidaisee S., 2016. Sexual and reproductive health education: A case for inclusion in the curriculum of primary schools in the Caribbean. Int Public Health J 2016;8(3):00-00. Dookeeram D, Narinesingh D, Deen S, Bidaisee S, 2012 . Deliberate Self Harm Audit 2011. Caribbean Medical Journal. Vol 74, No. 2, December 2012. M. Akpinar-Elci, G. Day, S. Bidaisee, J. Cox-Ganser, S. Peters, O. Elci, 2011. Occupational Exposure and Respiratory Health Problems Among Nutmeg Production Workers In Grenada, The Caribbean. Am J Respir Crit Care Med 183;2011:A1182. Bidaisee S. Macpherson CNL. Review of the global One Health initiatives. Evaluation of the scholarly use and applications of One Health from published resources. Bidaisee S, Macpherson CNL. Community based intervention to mitigate the effects of type 2 diabetes and its progression to peripheral neuropathy and amputations. Carlson J, Bidaisee S, Jungkund D, Macpherson CNL. Vector Borne Control for Dengue in Grenada. Assessment of Knowledge, Attitudes and Perceptions among healthcare providers on the clinical management of dengue. And, application of insecticide treated bed nets towards mitigating the spread of hospital sourced infections. Bidaisee S, Giganti M., Elci O.C. Analysis of Motor Vehicle Accidents (MVAs) in Grenada. Collaboration with the Royal Grenada Police Force (RGPF) to assess the health burden of as well as promote road safety in Grenada. Akpinar-Elci M, Bidaisee S, Radix R, Durgampudi P, Elci O. Prevention of Needle Stick Injuries and Blood Borne Pathogens among Health Care Workers in the Caribbean. Collaboration with the Pan American Health Organization (PAHO) and several regional governments in the Caribbean to address the health of healthcare workers. Akpinar-Elci M, Bidaisee S, Elci O, Roberts D, Implementing Renewable Energy and Preventing Land Degradation: An Intervention in the Nutmeg Industry in Grenada. Collaboration with the Global Environmental Facilty (GEF), United Nations Development Programme (UNDP) towards mitigating the effects of mold and dust exposure for nutmeg processing workers and mitigating the effects of land degradation through replanting of affected nutmeg fields.